If you haven't opted to take advantage of Samsung's recall offer, you should reconsider. Update 09-15-16: The Consumer Product Safety Commission has officially recalled Samsung Galaxy Note7 devices sold before Sept. 15, 2016. For more information, including details on reimbursement, please read the language on the commission’s website. Those who have yet to return their faulty Galaxy Note7 are literally playing with fire. Two incidents this week illustrate just how seriously Note7 owners ought to take the threat of the phone’s faulty battery. 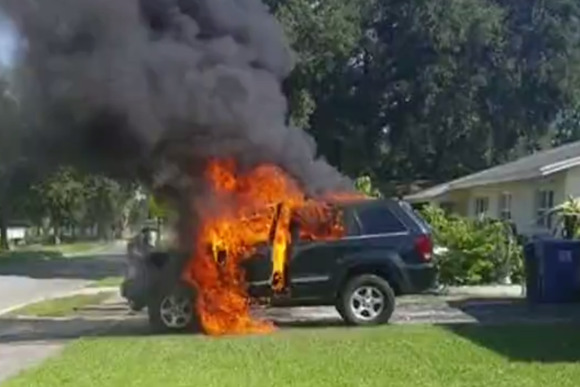 One example comes from a St. Petersburg, Florida man who left his new Note 7 charging inside of his Jeep while unloading furniture. 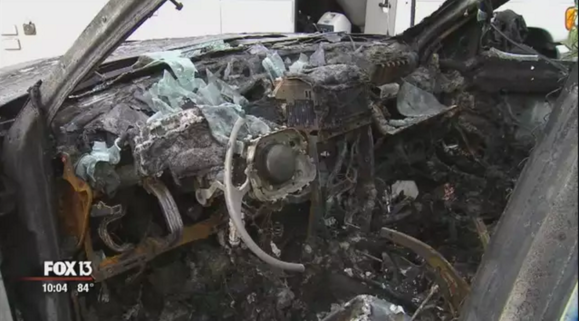 He returned to find the car consumed in flames. The aftermath is pretty devastating. The aftermath of a Jeep that was completely engulfed in flames from what was likely a Note7 catching fire. Fire officials haven’t officially ruled that the Note7 was the cause, but it’s nearly impossible to find another reason for why the Jeep would spontaneously catch fire. In another case, a man from Horry County, South Carolina saw his garage catch fire, with investigators ruling that the blaze originated near a wall outlet where his Note7 was charging. He had left the phone plugged in for about an hour, and found his home in flames when returning after picking up his children from school. Authorities in Horry County, South Carolina suspect the Galaxy Note7 may be the cause of a devastating house fire. Both fires are still under investigation, so it could be some time before any final ruling and attempts to get compensation from Samsung. The company had confirmed 35 incidents as of September 1, but clearly some owners have held onto their phones. These dramatic visuals ought to spur holdouts into action: It’s time to take up Samsung’s offer for a replacement phone. The company recently launched a new site that details what you can do if you have a Galaxy Note7. Samsung says you can exchange your phone for a Galaxy S7 or S7 Edge with a refund for the difference, including any Note7-specific accessories you may have bought. The impact on you: Don’t out your property and person at risk. Return your Note7! Samsung is offering a new phone, with fireproof models available “as early as this week.” All carriers have announced their own implementation of the trade-in effort, which you ought to investigate right away so you don’t become the next tragedy. This story, "The Galaxy Note7 implicated in dramatic Jeep and house fires, reports say" was originally published by Greenbot.